Things change, people change. Many believe it is time to embrace more change. Adapting to change is something one cannot avoid in my opinion, but it’s easier when changes don’t mean backtracking. A story from San Francisco highlights that more tech workers, who were recently shuttling to work from the city to the suburbs, are now commuting alone in cars — after San Francisco cut shuttle stops in the city. There has been strong backlash, as less wealthy San Francisco residents who relied on public transit came to despise corporate shuttles using their stops and gentrifying their city. 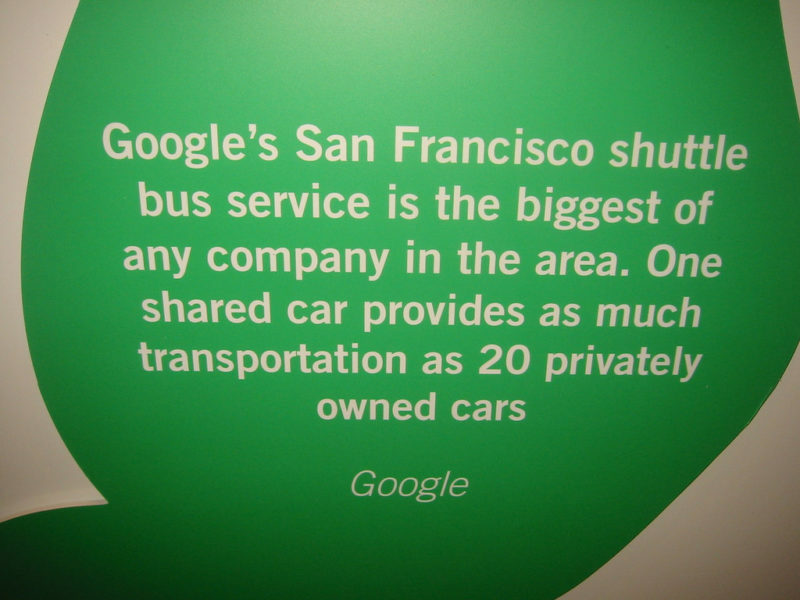 There has also been backlash from wealthy residents of the neighborhoods where these tech professionals live, with them not appreciating the presence of shuttle buses on their streets. The outcome, however, is that many shuttle travelers are not into the extra walk to a commuter shuttle. They choose to drive to work in the suburbs now instead. This story considers it the fault of the people since they are apparently not willing to walk a few more blocks to catch the shuttle. Nonetheless, the effect is there: more people are driving again, which degrades air quality, contributes to global warming, increases noise pollution in the city, and has an overall negative effect on quality of life. Even if it’s a modest effect, given the number of drivers involved, it’s a step backward in regard to the issues just mentioned. The San Francisco Chronicle editorial validated and explained the decision by the Municipal Transportation Agency take on the grumbling or direct complaints of the residents: Their concern is not about decreasing car trips. Electric vehicles are one answer to air pollution and quality of life. So are fewer cars on the road. It is unfortunate to see a progressive city like San Francisco moving backwards on the latter. The issue (well, one of them) is that these corporate campuses aren’t in San Fran but down in Silicon Valley. No matter where it is exactly, a rich area like that should be able to pay for public transport. As long a corporations don’t pay taxes they will be a bane for cities and municipalities.